Fantasy is a billion dollar business in both print and broadcast media, and there is a wide range of movies aimed at ages 10 and up coming out this holiday season. But the messages they promote are hardly family friendly. With the new revelation of a key Harry Potter character being gay and another children’s book made into a movie (“The Golden Compass”) being an atheistic apologetic, what can parents purchase for their young ones that will encourage their imaginations without compromising their values? At Falls Creek in the summer of 2005, Jamey Gilliland, Baptist Collegiate Ministries director at Rogers State University in Claremore, pondered the same question about his own niece and nephew. They were between the ages of 10 and 13 and enjoying young reader’s fiction. When he checked their book out of the local library to see what they were reading, he was not thrilled. 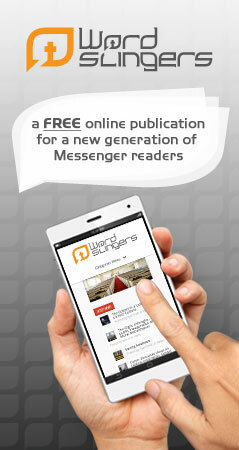 After reading the popular title, Gilliland began looking into alternative Christian titles to recommend. However, beyond C.S. Lewis’ Chronicles of Narnia, there didn’t seem to be many titles that would challenge a young mind. While sitting next to a waterfall at Falls Creek, Gilliland came up with the idea for a book and jotted down a few notes. Over the next week, he penned a basic outline and included names from the youth group he was chaperoning, as well as unique names from the Tulsa area where he currently resides. After a year of writing and much prayer and support from his wife and church, he finished his first book and turned the manuscript over to Tate Publishing in Mustang for review. However, while ministering with his college students, Gilliland received a packet from Tate Publishing. “I thought it was very thick for a rejection letter,” he laughed. After opening the letter, he saw a contract from the firm to publish the new work. Gilliland said Stan Peters from Verdigris, who convinced the author to name a character after his home town, got as excited as he did. “All the students in the ministry have been very supportive, and the local churches have been an amazing source of prayer and encouragement,” Gilliland said. Now that the holiday season is upon us, parents will be looking for gifts for their friends and family. 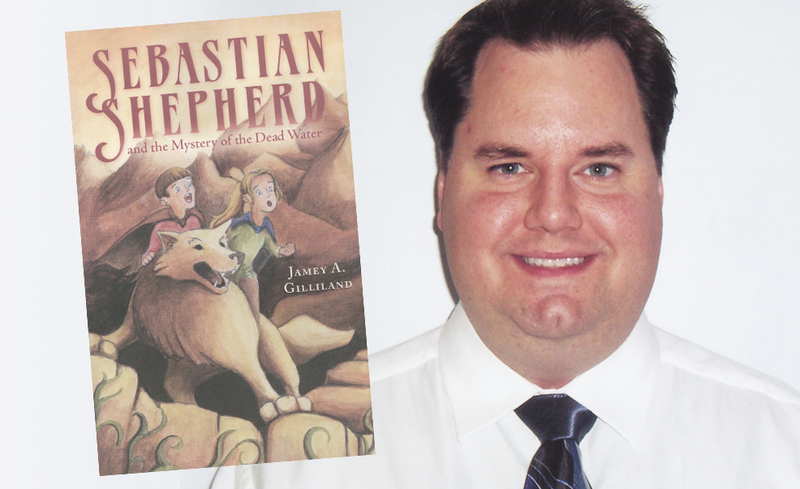 If young reader’s fiction is what they’re looking for, they will want to check out Gilliland’s book, Sebastian Shepherd and the Mystery of the Dead Water. The book is about a land called Crespin that once flourished because it was filled with pure-life-giving living water. The once great city of Falls Lake-an obvious play off Falls Creek-is now home to but a few inhabitants. Born on the eve of the terrible dead water’s appearance, 13-year-old Sebastian finds himself on the adventure of a lifetime. Only a handful of others join Sebastian and the great and beloved Elder Jeanine on their quest to follow the Great Mai’s calling. They, and they alone, must cleanse the source of the dead water or perish trying. Hounded by terrible creatures driven mad by the cursed waters, Sebastian, Jeanine and their small company press on to find the ultimate goal and discover that only Sebastian can lead the way to their final objective. Mark Jones, children’s ministry specialist with the Baptist General Convention of Oklahoma, said Gilliland’s book is a marvelous alternative to Philip Pullman’s His Dark Materials trilogy. “His character descriptions are wonderful,” said Jones, who read an advance copy of the book. “I read it to my children, and they came over and sat in my lap to get closer. Jones said Gilliland also draws the reader quickly into the battle between the forces of good versus evil in his book. “In the very first chapter, you’re drawn into the battle between good and evil and told how evil has dominated, but then you’re also shown how life has already been given,” Jones said. “Again, that parallel of the Bible and the story of God’s love for us is wonderful. Jones said Sebastian Shepherd and the Mystery of the Dead Water is excellent. Sebastian Shepherd and the Mystery of the Dead Water will be available at all major book retailers on Jan. 22. However it is available prior to that directly from tatepublishing.com/bookstore.